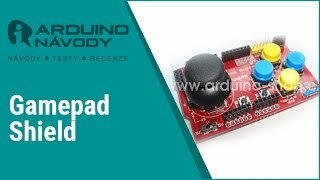 For all version of Arduino. Available on the internet examples of codes. The movement of the Y-axis will generate a proportional analog voltage on analog pin 0, while the motion of the joystick in the X-axis creates the analog signal to the analog pin 1. A connector for connection to the WIFI module's nrf24l01 RF. The DPS can be switched between 3.3 V and 5V. 7,00 € tax incl. 5,79 € tax excl. 12,61 € tax incl. 10,42 € tax excl.